Fred Korematsu (center, left) is pictured here with his parents and brothers in a greenhouse at the Stonehurst Flower Nursery. The Korematsu family owned and operated the nursery in East Oakland, CA. After the internment, they were devastated to find that all the plants in the nursery had been sold off and all the glass in the greenhouse smashed. On January 30, 2011, the state of California celebrated "Fred Korematsu Day of Civil Liberties and the Constitution." It’s the first time an Asian American has been commemorated in US history. Three days later on February 2, the Smithsonian’s National Portrait Gallery in Washington, DC, recognized Korematsu’s achievements with the installation of two photographs of Korematsu in its permanent-collection exhibit, “The Struggle for Justice.” The photographs were gifted to the Portrait Gallery by Korematsu’s family. Korematsu is the first Asian American to be honored by the Smithsonian in such a way. Civil rights activist Fred Toyosaburo Korematsu was born in Oakland, CA, on January 30, 1919, and died March 30, 2005 . In February 1942, President Franklin Roosevelt signed Executive Order 9066  authorizing the relocation of Japanese Americans on the West Coast. Twenty-three-year-old Korematsu defied the order, was sent to federal prison, and later joined his family in a detention center. With the aid of the American Civil Liberties Union, Korematsu challenged the legality of the detention. He was convicted of violating the executive order. Korematsu appealed to higher courts until his case was brought before the Supreme Court in March 1943. Korematsu v. United States  upheld the original verdict. 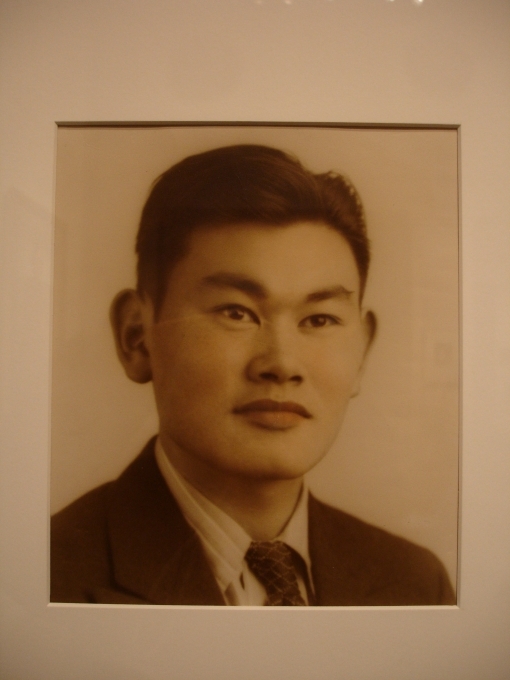 The photographs displayed in the Portrait Gallery were taken shortly before this turbulent time period of Korematsu’s life. Korematsu did not stop fighting. In 1983, Supreme Court found that the military had deliberately lied to the court and overturned his 1943 conviction. In 1988, Congress apologized for the internment of Japanese Americans and awarded each survivor $20,000. In 1998, President Bill Clinton awarded Korematsu the Presidential Medal of Freedom, adding his name to a long list of Americans who fought for civil rights and equality. Today, we fight for other civil rights. Rights for immigrants. For education. To play sports without it turning into a racial thing. (Yeah, you like how I snuck a Jeremy Lin reference in there? You're welcome.) No, it's not quite the same as the atrocities done to Japanese Americans during World War II, but our fights today are about the same thing: to be American. Be sure to visit the National Portait Gallery to see Korematsu’s installation. For more information about the activist, visit the Korematsu Institute .